The West has a reputation for its natural beauty, and deservedly so. But most of us need a day off from work and a full tank of gas just to get to the sort of remote, wild vistas that nourish our souls — and our Instagram feeds. After all, the modern West is the most urbanized part of the country, with 90 percent of us living in cities. But there is nature in urban areas, too — of a subtler and stranger variety than you might think. Learning to see and appreciate this quixotic ecosystem could be the next step in creating a healthy, honest relationship between Westerners and their environment. An excellent if unorthodox guidebook has been published by an amateur natural historian in the San Francisco Bay area. 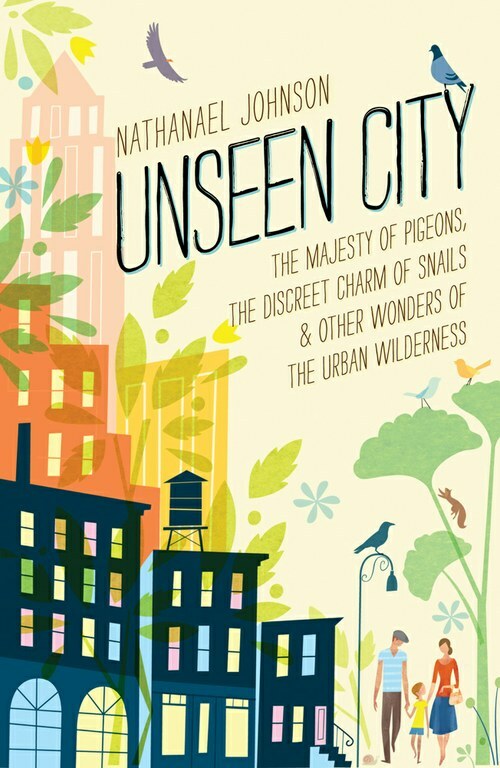 In Unseen City: The Majesty of Pigeons, The Discreet Charm of Snails & Other Wonders of the Urban Wilderness, we follow Nathanael Johnson, a food writer at the environmental magazine Grist, and his daughter, Josephine, as they observe and research the complex lives and ecological interactions of urban weeds, squirrels, pigeons, ants and trees. We learn that the adult pigeon produces 25 pounds of feces a year, that squirrels have flourished nearly unchanged for 5 million years, that roasted ginkgo seeds have the texture of “stiff gnocchi,” and that no one knows why crows are black. It makes sense that this call for a new urban naturalism should come from a food writer. Urban agriculture has been growing for years now, the compact backyard chicken coop and gaily painted raised bed on the parking strip now seemingly permanent fixtures of the city landscape. Its even hipper cousin, urban foraging, has also received a lot of attention over the past few years, with food trendsetters like Daniel Patterson, former head chef of San Francisco’s Coi, using wild oxalis and lichens, and Denver-based Hunt & Gather combing the peri-urban fringe for mushrooms to supply over 60 Front Range restaurants. Food has become the new medium through which city people engage with other living things on their home turf. And Johnson doesn’t hesitate to nibble on some of the species he studies — like those ginkgo seeds. Johnson writes at a time when our culture is experiencing a long, slow melting of the conceptual division between people and nature. Thanks to climate change, population growth and critiques of purist wilderness concepts by thinkers like historian William Cronon, people are becoming less willing to define nature as only that which is untouched by humanity. By the same token, they are more open to seeing nature in our own species’ densest congregations — to -acknowledge a volunteer cherry seedling in an ill-maintained gutter as a valid part of nature rather than just a token of squalid neglect. Where urban parents once taught their children not to pick up “dirty” bird feathers on the street, they now lovingly preserve tattered pigeon primaries as a sign of their offspring’s deep connection to nature. Unseen City is by turns heartfelt, astonishing and very funny. It’s much more than a mere collection of curious facts about urban species. Think of it as a sort of naturalist amuse-bouche — a tantalizing sample of the pleasures available to anyone who makes the effort to really look at the species with which we share the urban world. The plant and animal accounts are bookended by practical advice for the would-be urban naturalist and an emotional plea that city-dwellers take the time to notice the vigorous life that intertwines almost invisibly with the human environment. Such looking, Johnson says, offers a cure for a dearth of wonder in our daily lives. “Simply watch the natural world closely and patiently until your eyes burn through the scrim hung by your expectations and you catch sight of something wholly unexpected,” he writes. Unseen City: The Majesty of Pigeons, The Discreet Charm of Snails & Other Wonders of the Urban Wilderness.